Chemicals make up our physical world; they form the basis of life and they are the building blocks from which we make our products. Over 100,000 substances are used in a wide variety of products that build the world economy. Chemicals can play an important role in our global economy but if mismanaged, they can also cause significant damage. A knowledge-based, preventive approach to chemicals management throughout their lifecycle allows avoiding significant risks to human health and ecosystems, and associated economic costs for individuals, firms and society as a whole. 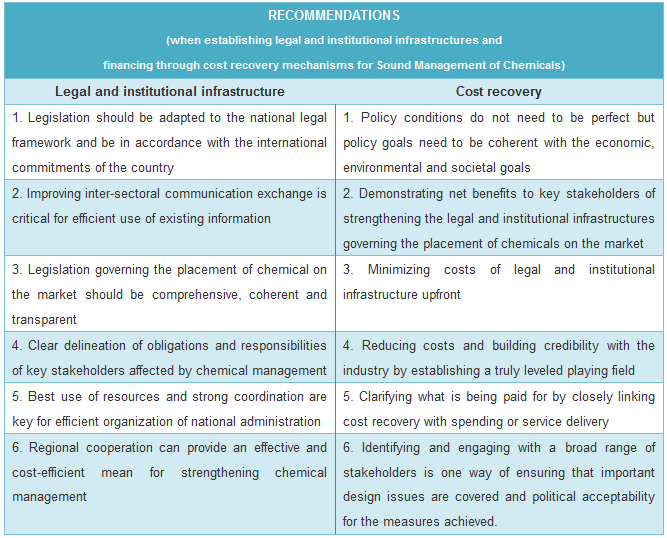 UN Environment has developed a guidance document for the development of Legal and Institutional infrastructures for the Sound Management of Chemicals and measures for costs Recovery of national Administration. 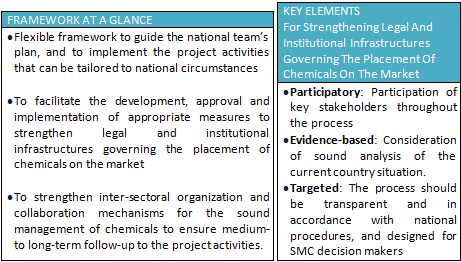 Known as LIRA guidance, it aims to provide practical support to countries when developing or strengthening national legislation and institutional structures for achieving sound management of chemicals, including measures for financing the costs associated with the national administration. 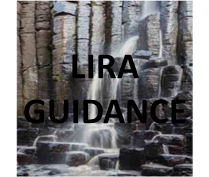 The LIRA-Guidance was developed by an Expert Group and it is based on the outcomes of a projects aimed at supporting countries with regard to the development of national chemicals management legal and institutional infrastructures, and the particular needs of developing countries and countries with economies in transition, that was developed by UNEP and (KEMI), the Swedish Chemicals Agency. Comprehensive chemicals management frameworks include measures for managing chemicals at every step of their life-cycle. The focus in the LIRA-guidance is managing the introduction of chemicals into the market as the establishment of such infrastructures provides a cost-effective enabling framework for the other parts needed for lifecycle chemicals management. By facilitating the development of coherent chemicals management frameworks at the national level, the LIRA Guidance, also contributes to the implementation of the Basel, Rotterdam and Stockholm Conventions. The main objective of LIRA is to support countries that are in the process of developing national plans for strenghtening legal and institutional infrastructures governing the placement of chemical on the market as part of a lifecylce chemicals management policy. As a policy-driven process, the review should be based on sound planning. A number of workshops and projects to test the LIRA guidance has helped to spread the word. It has been successfully tested in Uruguay, Nigeria, Belize and Cambodia.